There are several ways to whiten teeth if a simple scale and polish from the hygienist is not enough. This is generally used if there is darkening to a single tooth. Often these teeth have previously been traumatised or damaged and had to have their nerve removed. This will usually be followed by a root canal treatment. The tooth darkens as a result of residual blood pigment and bacterial breakdown products within the dentine. 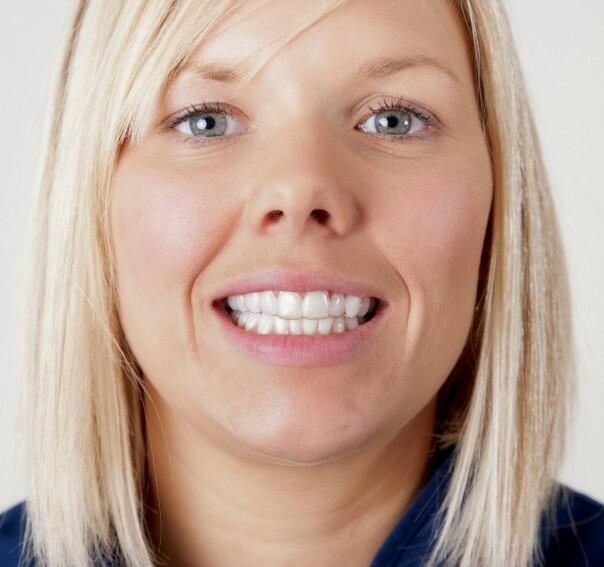 These teeth can be whitened using a simple technique that involves wearing a whitening tray continually over a few days whilst periodically placing a whitening gel into the tray and the back of the affected tooth. This is to create an overall lightening of the teeth and can be done with a “Power Whitener” or with “Bleaching Trays”. The former involves applying a gel to the outer surfaces of the teeth and activating it with a light. The latter involves fabricating thin transparent PVC trays that are worn over the teeth – either at night or for about 2 hours a day over a period of between of 3 and 8 weeks. The “Bleaching Tray” is the method that we would normally advocate as it generally gives a more stable and long-term result. Again both techniques are pain-free and perfectly safe although they can involve increased tooth sensitivity whilst the whitening is being carried out.